The celestial event may also not involve any physical body at all, such as when, for example, the Moon's North Node (as we shall find out later, the Moon's North Node is not a physical object) is on the eastern horizon. The eastern horizon is, of course, simply where the sky meets the horizon of the earth in the easterly direction, and therefore is also not a physical body like a planet or star. Some people mention that the Moon's position affects the tides of the ocean, as an example of an astrological influence, but the correlation of ocean tides with the Moon's position can be explained by gravitation so it is not really astrological in that the rules used by astrologers generally cannot be explained by gravitation or other forces known in the sciences. Astrology has been used by virtually every advanced civilization for thousands of years, but it has almost always been very controversial as well. Today, skepticism about astrology is as strong as ever, and there are many good reasons for this. Astrology has its roots in ancient times when less scientific methods were employed and superstition was rampant in many of these civilizations. 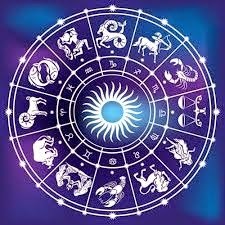 The only exposure that many people have had to astrology is the sun sign columns in the newspaper or a glamorous psychic astrologer on television. Thus, it is hardly surprising that astrology is generally not accepted as a legitimate and valid field of inquiry by academia. Resistance to astrology in academia is strong. The Kepler program and other fine work being done in the field of astrology today will hopefully open the eyes of many people to a valuable tool that is being overlooked. Some people confuse astrology with astronomy. Astronomy is the science that studies celestial phenomena physically. All objects in the sky are studied in terms of their constitution, position, history, etc. Astronomy, of course, is a science and no one disputes its validity. Astrology goes a step beyond astronomy by making correlations of celestial phenomena with events on earth, and these correlations are not of a nature that can be easily explained by traditional scientific concepts. Astrology is highly controversial, and currently (as of 1998; this may change in the near future) an accredited college degree is not available in astrology, which exemplifies the fact that astrology is currently not well-received in most academic circles. Note that no one has proven how astrology works. There are many different views on how or why astrology might work, but there is not single conclusive answer that has been demonstrated to the satisfaction of all astrologers. Astrology is the study of the correlation between celestial phenomena and behavior on earth but why should this correlation exist? There are many possible answers and I will not go into those now. Note that the lack of a clear explanation of why the correlation should exist, or the fact that the existence of such a correlation seems absurd to many scientists and non-scientists alike, does not in itself make astrology unscientific. Scientists can analyze correlations and perfect their ability to predict based on these correlations without knowing why the correlation exists. Experts in scientific methodology emphasize that science ultimately is about making observations and theories help us understand the observations.